We are asked, “Our child is very into fantasy stories about magic and mythological creatures. Do you have any activity sets that are linked to these types of stories? Stories about wizards, knights from days gone by and dragons are popular topics in children’s stories, books and movies. To help connect children to this realm, TAG Toys has an enchanted King’s Castle Activity Set. 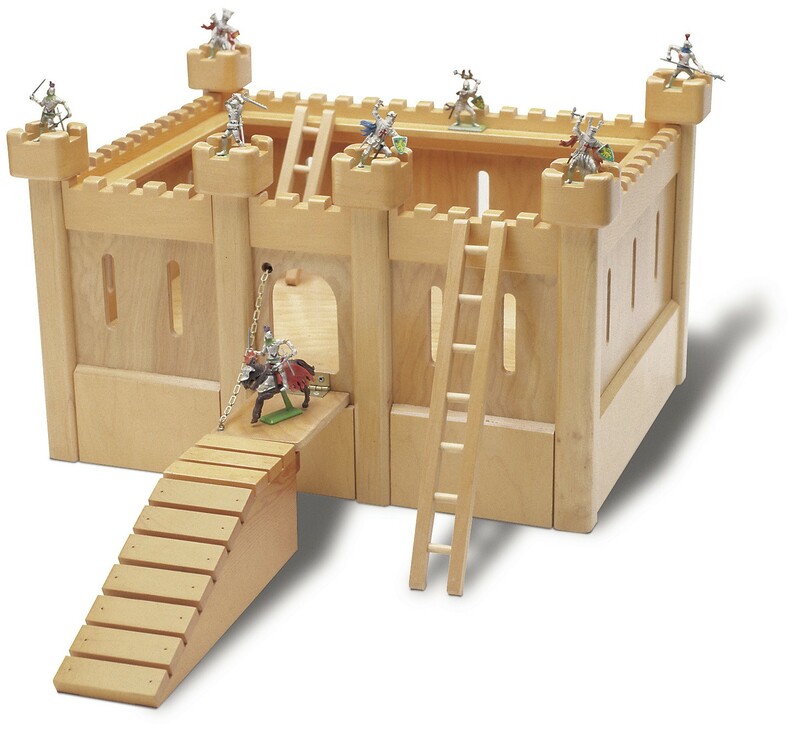 This large hardwood castle play-set includes ladders, a ramp and a drawbridge that all move, and even a dungeon. This heirloom quality castle stimulates creative, imaginative play among both boys and girls. Imaginative play is a very important stage of childhood cognitive development. Independent play time allows children to think through certain personal issues and to develop responses to different social scenarios. This entry was posted in Childhood, Childhood Development, Children, Education, Kids, Pre School Kids, Toddlers, Toys, Uncategorized and tagged castle, imagination, independence, magic, personal, play time, social skills.